Tav Falco is an American legend. 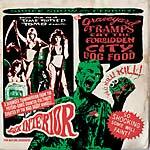 All Music Guide states: "The master of a raw and shambolic fusion of rockabilly, blues, and fractured noise, Tav Falco was, along with The Cramps, one of the earliest purveyors of what would come to be known as psychobilly, and he anticipated the fractured but hard-hitting blues wailing of The Gories and the Jon Spencer Blues Explosion by close to a decade." After releasing a handful of classic albums with his band Panther Burns on various labels -- most notably Paris-based New Rose Records -- Tav's recording career slowly fizzled out and the maestro stranded in Vienna of all places. A few years ago, the Stag-O-Lee label (part of Glitterhouse Records) contacted Tav Falco about properly re-releasing his prized back catalog. The man was notorious for being hard to deal with, but Stag-O-Lee encountered a well-behaved and educated Southern gentleman and a deal was quickly struck. 2010 saw the release of a new album with fresh original tunes titled Conjurations: Seance for Deranged Lovers, which met with great critical acclaim. In 2011, the reissue campaign slowly started with his amazing debut Behind the Magnolia Curtain (plus the Blow Your Tops EP as an added bonus) receiving the deluxe treatment it deserved. The Sunday Times had the following to say: "Must-have reissue! Today's rockabilly revivalists such as Imelda May and Kitty, Daisy & Lewis, revere their sources. In the late 1970s, however, degenerate New Yorkers and track-marked Australians pointed their quiffs at the future and bled post-punk noise over the music's bones. This collection of Tav Falco's early recordings finds the fabled Memphis polymath howling off-key over perfectly out-of-sync broken blues from the Panther Burns band, which features Big Star's Alex Chilton on uncharacteristically sloppy guitar and Jim Sclavunos on drums, later poached by an indebted Nick Cave." --Sunday Times); The second installment of the reissue series is in the works and will follow in early 2013 featuring an unreleased concert from that era as added bonus. In the meantime, Tav Falco Panther Burns started to tour again, playing selected dates around Europe and the United States. 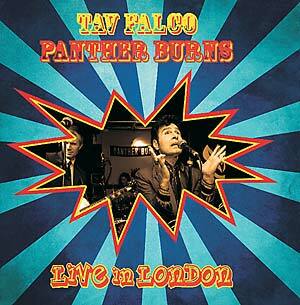 In September 2011, Tav Falco Panther Burns travelled to London to perform at the respected 100 Club -- a holy grail of live music. The Behind the Magnolia Curtain reissue was promoted by playing the album in its entirety during the first set and newer tunes in the second set. 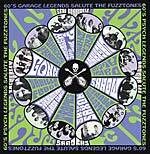 The document of said gig is now being released via Stag-O-Lee as a limited edition double 10".